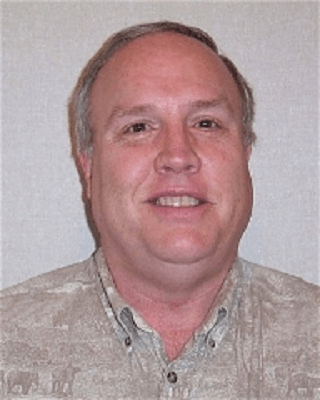 Daniel C. Locke, 62, Owner of Key Security Systems, passed away July 2, 2014. Visitation with the family was held on July 7, 2014, and Funeral Service was held on July 8, 2014, both at Downing and Lahey Mortuary East. He was preceded in death by parents, John and Bette Locke; step-daughter, Sheila Reynolds; brother, Del Locke; sister, Dorothy Elizabeth Locke.He is survived by wife, Ellen Ann Locke, of Newton; brothers Duncan Locke, of Lincoln, Neb, Dwight Locke, of Atchison; sister, Lura Flentie, of Lincoln, Neb. ; granddaughter, Alicia Reynolds; great-grandchildren, Lianna Hazelton and Emilio Rivera. Today I said goodbye to a giant of a man. I had heard the name Dan Locke since the early 1990s, because a co-worker of mine took several trips to Kansas to assist in holding some industry training when alarm training was fairly new. Because of their lack of state licensing, the Kansas association was small, but they were still able to hold several training classes per year, thanks in no small part to the work of Norman Dayton, Darrell Henderson, and Dan Locke. In 2001, I got to meet Dan when all of the instructors of a national industry association were summoned to Atlanta, GA for a meeting. The two instructors from Kansas, Norman and Dan, and the four of us from Arkansas had several meals together and were of the same mind when it came to state sponsored training. That is also when Dan went from a “fellow industry guy” to a friend. Over the next 13 years, Dan and I have travelled together quite a bit. Teaching and attending classes in Arkansas, Oklahoma and Tennessee. Meetings in New York City, Washington DC, Las Vegas, Saint Louis, and Galveston, just to name a few. We solved many of the world’s problems while driving from Dallas to Galveston for the NESA/TBFAA meetings every fall. As Dan and I would walk the show floors at the ISC shows, I would be looking for new products to sell to my customers, new add-ons to our central station, new ideas for generating RMR. Dan never seemed interested in that. Dan would ask each vendor if they could provide some trinket that he could give away to students in a Level I class. He would look for show-and-tell items to use during fire training. He would look for ways to entice students to attend training to improve themselves so our industry would be better. About two years ago, Dan and Darrell Henderson decided to merge their two companies and work together. During that process, Darrell discovered that he had lung cancer. Darrell’s battle greatly affected Dan, but even when Darrell lost that battle, Dan was committed to providing great customer service to their clients. Since then, he purchased another company and was feverishly trying to keep up with the work being created by growing his company 1,000%. There are others that were lucky enough to spend time with Dan. “I will miss Dan. He was one of the folks who committed lots of time and energy to the industry for long period of time. I think I first met him in 1991 and he had been at it for years at that point. He was always inquisitive and joyful and brought a unique perspective to things. He was always a small company and I know the efforts he put in meant long hours on his part to make up for the time he gave. He not only ran the local associations, but he trained hundreds of his competitors at years of training classes. He faced lots of challenges organizing things in Kansas, but he kept at it for over 20 years. There are not many with his dedication and perseverance around.” Brad Shipp – Executive Director, National Electronic Security Alliance. “I appreciate the sacrifices individuals like Dan had to forfeit so others could benefit. A small company owner that paid thousands of dollars out of his own pocket, countless hours away from his business and loved ones and the millions of heartbeats that he freely gave away simply for others.” – Rex Adams, Owner of American Security Devices. Dan worked for 25+ years trying to improve our industry and all of us are better for it. He sat on numerous association’s boards of directors, both locally and nationally. He helped craft association bylaws, fire codes, state statutes, false alarm ordinances, and other meaningful documents that we adhere to. He did this, many times, to the detriment of his own company, putting the industry’s needs above his own. Rex Adams, immediate-past President of NESA, and I were reflecting on the work that Dan has done for our industry. I hope that I can do half as much and have the same great attitude and fun that Dan had while doing it. I also hope that we never take for granted the work that industry giants, like Dan Locke, have done on our behalf. We truly do stand on the shoulders of giants….and Dan was one of the biggest.